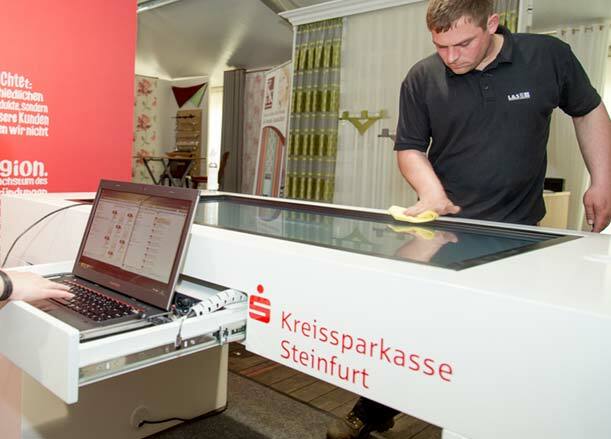 The tablet in XXL – the TouchTable. We provide you with multi-touch monitors in 55- and 42-inch, full-HD resolution, matching table solutions, wall brackets and design stands/ tripods. They are compatible with PC or Mac, which we are happy to provide as well, if you like directly to you. The corresponding presentation software for all applications is also available. We offer a complete package for the interactive presentation of products, web-sites, pictures, movies, media centers, technical installations and we therefore we use the Samsung’s 11.6-inch tablets. State-of-the-art presentation from one source and affordable – contact us. Advice: Prepare your presentation with the test version! 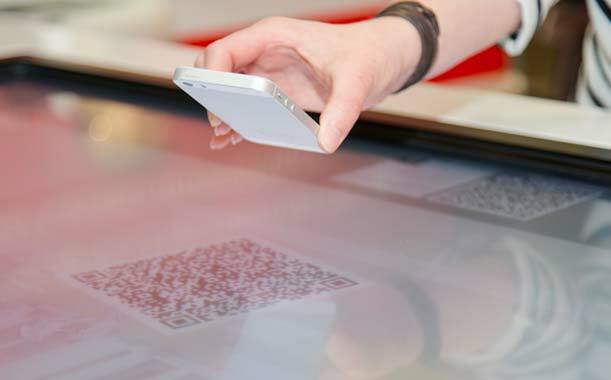 We transfer the data to the touch table for you.